Technology continues to transform our businesses. Companies of all sizes move their document storage to the cloud, email has outpaced snail mail, and video conferencing has become as prevalent as teleconferencing. But research suggests that will change in 2019. 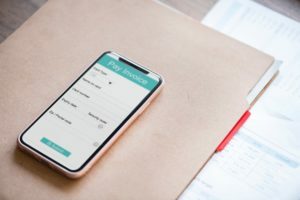 Accounting Today predicts an uptick in electronic payment adoption in the business world in 2019 due to their efficiency and convenience for both accounting firms and their clients. In today’s growing gig economy, employees are no longer tied to their desks, and digital payments make the shift to remote work possible. About 86 percent of the freelance workforce say they prefer to receive payments electronically, and 41 percent require electronic payment to avoid lateness. With digital payments, you can ensure your employees and vendors are getting paid correctly and in a timely way. Digital payments have become an online solution for business owners who can’t always make it into the office, toppling information barriers and allowing owners to access their ledgers and invoices at any time. Should your business be audited, digital payments also allow you to quickly and easily compile records, alleviating hours of culling through boxes and filing cabinets for documentation. Sites like Bill.com easily integrate with accounting systems like QuickBooks, allowing accounts payable to input and owners to send payments seamlessly. As outsourced accounting grows in popularity for small businesses, digital payments also eliminate redundancy and simplify the sharing of records and files. Despite the rise in cyber scams, digital payments are safer than the alternative. Not only do business owners save by avoiding postage and expensive check stock, having pre-signed checks on hand or mailing checks make businesses more susceptible to fraud and theft. Digital payments feature steps of authentication and security measures to ensure your information—and the information of your employees, contractors and vendors—is secure. For some, letting go of “paper” will be tough—but it doesn’t have to be. Electronic payments are the future of business, and we foresee its growth continuing into the new year and beyond. Our staff can help you reduce your workload and costs to improve productivity and free up your time to focus on your business through outsourced accounting. Ready to expand your company’s use of digital payments? Contact The Whitlock Company to find out how we can transform your business. Melinda Thurman, CPA, is a Partner at The Whitlock Company, a full-service CPA firm offering a range of professional tax, audit, accounting and consulting services in the Midwest. Learn more at www.whitlockco.com.